Are looking for a budget-friendly baitcasting reel for your next fishing trip? well, finding the best baitcasting reels isn’t so easy from tons of reel which are available on the market. Hey, Don’t get upset 😉 just hold on, Wouldn’t you be happy to hear it? That I’ll help you to find out the best baitcasting reels for the money from thousands of reels. It sounds like fun! But trust me I will not disappoint you. It’s a pretty long article because we listed here top 10 best baitcasting reels where we mention every single details step by step. Those reels are chosen by our Expert Fishing team members. I hope you will find the best one from this top 10 list. However, if you are in a hurry then no worry, you can jump over directly to your desire products area using our table of the content section. That’s why we decided to show you the top 10 best baitcasting reels of these days that are ready to dominate over a fish. Let’s get started. Hold on a second, looking for the best rod that matches with the baitcasting reel? Here is one of our baitcasting rods review article where we discussed Best Baitcasting Rods for the money. Also, if you are looking fishing shoe for your fishing trip then I highly recommend you grab Shimano Evair marine Fishing shoe It’s an ultra lightweight fishing shoe and comes with more than 8 differnt colors. Let’s save some time. Every second is valuable in this fast-moving world, considering the value of your time we came to a verdict. Have a look at the best baitcasting reel for the money from this article! Intro: Our very first baitcasting reel is from the top-notch fishing tackle brand Shimano. Shimano is the brand to get your money’s worth. It’s a Japanese company that always gives us the best quality and affordability. That’s what separates them from other brands. 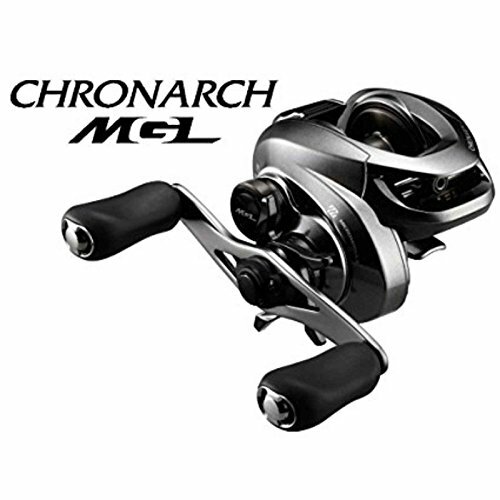 We are talking about one of the best Shimano baitcasting reel, the Shimano Chronarch MGL series. Built-quality: For the ultimate fishing experience, Shimano used the highest grade materials to make it more robust yet featherweight! Yup folks, every single reel of Shimano Chronarch weights only 6.5 oz. Feels almost nothing in the hand. Wanna know why they called it The Chronarch MGL? It’s because they introduced the advanced MGL(Magnumlite) spool in this reel, it greatly reduces the moment of sluggishness and allows anglers to cast for 15% greater distance than other reels. Besides everything, this advanced technology makes it an ultra-lightweight reel, amazing isn’t it? Gear ratio and ball bearing: With different models, this best Shimano fishing reel offers 3 three gear ratios: 6.2:1, 7.1:1, 8.1:1. So we can see that this reel has medium to high-speed gear ratios for a various fishing situation. For example, 6.2:1 and 7.1:1 is the perfect gear ratio for bass fishing. The application of cutting-edge technology Micro Module Gear System creates a smooth retrieve gear system, The X-SHIP system enables smooth reeling even under heavy loads. Oh boy, the micromodule is a beauty. With the gear teeth super-refined to the limit, the ‘Micro Module Gear System’ enables seamless engagement and power transmission. The whole operation is done without compromising strength, reducing sound and provides you with far better sensitivity. Drag power: The drag power is 11 lbs. Pretty frustrating if you want to land a monster in the deck! But the drag system is amazing. It offers a star drag system constructed with tough aluminum. Reel handle: Not a problem with the handle side folks, you will find both right/left-hand handle. The best thing about the handle is it’s so grippy, even the handle knobs got plenty of ball bearings. Unique feature: Shimano has their own flagships. Their technology is top-notch and nearly unbeatable. With the micromodule gear, X-SHIP system which efficiently transmits the input power, enabling powerful reeling and SHIMANO’s newest innovation in brake system technology, SVS Infinity provides easy-to-manage, consistent spool control, and brake force the Shimano Chronarch is one unique baitcasting reel. Reputation: With 4.1/ 5 ratings, it’s got a pretty good amount of positive reviews from a bunch of happy customers in Amazon. Shimano knows well how to maintain the reputations. Means you can totally rely on this one and put in your fishing tackle bag. Overall: For the money, it’s a great reel to have. A novice to an avid angler, Shimano can be your #1 choice. Intro: Shimano showed their true capability in this reel, it’s the beast that casts more smoother than we can imagine. Many anglers literally dreams to afford it, with this reel shimano is at it’s very best. We are talking about fishing reels for sale called the Shimano Calcutta Conquest 4oo, a vintage looking reel with a lot of potentials. It’s around profile reels, an alternative of low profile reel. It’s actually great for higher resistance baits such as crankbaits, chatter baits, spinner baits, swim baits etc. Round reels are typically bigger and bulkier, but they made a change here. They introduced the S-Shaped compact body which actually reduces the size and weight of the reel while keeping line capacity the same. Another important benefit you get from this S compact body is drop down reel seat which provides better palm ability and ergonomics. Gear ratio and ball bearing: Let’s come to the very core of the reel, Shimano has their own X SHIP which is actually a dual bearing supported pinion gear that keeps the pinion gear precise alignment at all time with the main gear. The gear ratio for the Calcutta Conquest 400 is 5.6:1. The retrieve rate is 30”/ turn. Don’t bother thinking about the ball bearing folks. It’s the smoothest reel you’ll ever fish. Insanely smooth guys, I mean it! Drag power: The drag power of this reel is unbeatable. It provides 20 lb of maximum drag. You can even go for a trophy fish when you own a Shimano Calcutta Conquest. Line rating: Let’s talk about the castability, it features a S 3D spool which is uniform cut spool for precise balance to eliminate any chatter or any vibrations. The line capacity is 235 yds. 20 lb test. You can cast for a mile with it, amazing right? Unique feature: Shimano Calcutta offers a bunch of unique features. The Svs infinity braking system, once you made the internal brake adjustments you can use the dots on outside of the reel to fine-tune and make on-the-fly adjustments. Another feature is a safety feature, it actually saves your finger if your finger got pinched between the frame and the level wine. So sweet of them! Reputation: Shimano Calcutta Conquest series has built a huge reputation, it’s the signature product of shimano. Consider it the best out of the best baitcasting reels. No reel can beat this one for sure with performance or reputation. Overall: It takes some practice and experience for casting with this reel, not for the novice anglers! Shimano Calcutta conquest creates a revolution by their new S compact design, it was a game changing step. If you want a reel that can last life long, Shimano Calcutta is the one you are looking for. Intro: It’s been almost a century now the Abu Garcia(originally AB Urfabriken) is in the fishing business after the fishing enthusiastic son of the owner took charge. This famous brand originated in Sweden is now owned by Pure Fishing of the United States. ABU Garcia introduced a series of fishing reels and related products at the beginning of the 1950s. From the very beginning, they always proved them one step ahead in terms of building fishing tackles. Literally, they are the architect of the modern reels of these days we are seeing now. That’s a little background of the brand to let you know that, your investment is on safe and reliable hand. Built-quality: Introducing you one of the best Abu Garcia baitcasting reel, the Abu Garcia Revo SX series. To me, it’s one of the finest low profile baitcasting reel that Abu Garcia has ever produced. There’s a couple of reasons behind claiming it one of the finest all-around reels of these days an angler can buy today. It’s very lightweight, easy to palm, comes in two different gear ratios and most importantly budget friendly. Abu Garcia Revo SX weights only 7.7 oz, the C6 carbon side plates construction is the reason behind its ultra light-weight. Carbon construction always provides significant weight reduction without sacrificing strength and durability. Gear ratio and ball bearing: Under 200 bucks price range, you barely find a buttery smooth reel like Abu Garcia SX. The premium 9 stainless steel ball bearings + 1 roller bearing provides smooth Operation for almost effortless fishing. You will get 2 different gear ratio out of it, the Revo SX provides 6.6:1 gear ratio whereas the Revo SX-HS provides a gear ratio of 7.3:1 with line recovery of 30″ per turn. The 6.6:1 gear ratio can be applied for multi-purpose. But if you want some topwater baits, pitch, and flip jigs or soft plastic creature baits the 7.3:1 is the best match. Drag power: Get ready for a surprise, it gives you max. drag of 24 lbs. Which proves the power of the reel. That’s why I’m a huge fan of this Abu Garcia Revo SX. The previous Revo S has almost 10 lbs less drag than this one. With time, the Revo SX gives you more power to fight giant fishes. Line rating: With a capacity of 140 yards of 30-pound test, this best Abu Garcia baitcasting reel is best for good braid or fluorocarbon line. Use whatever you want, the response is amazing folks! 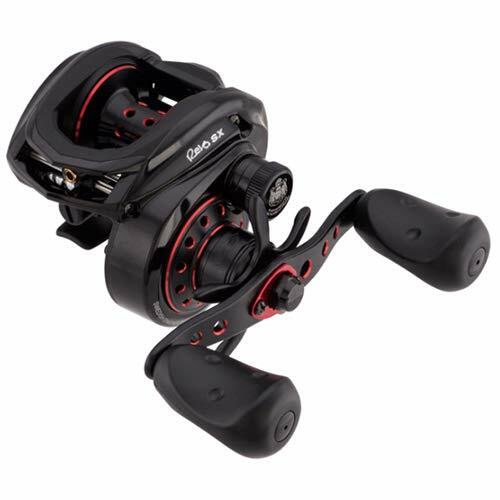 Reel handle: Good for you it offers both left hand and right-hand handle option for Revo SX and Revo SX-HS reel. The handle is pretty comfortable and big than the previous version the Abu Garcia Revo S.
Ball bearings in the handle knob made it smooth for a better retrieve experience. Unique feature: You may wonder what made this reel different from others! The newest version of this reel (REVO4 SX) has an upgraded D2 Duragear and clutch, plus a hard coating on the pinion and pawl that take out a lot of friction. The exclusive Abu Garcia dual power disk drag, magnetic brake system on the side plate and unique mechanism for ease in maintenance made this reel take the highest place. Reputation: The 4.5/5 rating from Amazon and positive comments justify that, hell yeah it’s a damn good reel. Feel free to check inside by clicking below to see all the amazing comments by bunch happy customers. Overall: Saltwater or freshwater, a little panfish or a tournament fish it’s a great reel to fish with. The Abu Garcia Revo SX 4th gen is all about the combination of outstanding durability, strength, and smoothness. The best fact of all is, you can get this at a great price without sacrificing quality. What more could an angler want! Intro: Maybe Kastking has been in the business roughy for 8 years now by some fishing enthusiastic buddies, but sure their innovative thinking and hard work took their reputation to sky-high. The reels we are going to talk about is Kastking Royale legend and Kastking white max, Amazon’s #1 BEST SELLER. Let’s dive deeper into this absolutely elegant fishing reel. Built-quality: Kastking legend/white max is one of the best looking reels of these days, it seems so muscular and sleek with the highest grade materials. With the graphite side plate and frame, it’s insanely robust and durable reel. Handles are made out of high strength aluminum handle. No chance of getting destroyed so easily, it’s born to take a lot of abuse! 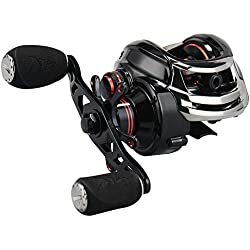 Gear ratio and ball bearing: Consider this as a high-speed reel, the brass gear with a gear ratio of 7.0:1 provides a retrieve rate of 28 inches/turn and super torque for a slow presentation of heavy baits such as big swimbaits, deep crankbaits, and large spinner baits. You can do a lot of bass fishing, trout fishing, ice fishing, and much more. Get ready to be amazed, cause both of these reels got 11+1 stainless steel ball bearings, that makes the reel ultra-smooth with a lot of precision. Drag power: They used the carbon fiber drag system delivering 17.5 LBs of drag, amazing isn’t it? The drag system is a beauty here, with the advanced thinking they added 3 drag washer with it. It builds a strong resistance against fishes, give it a try! Reel handle: So much happy with the handle, offers non-slip EVA padded foam grips for a smooth fishing experience. I believe they even put some ball bearings there. 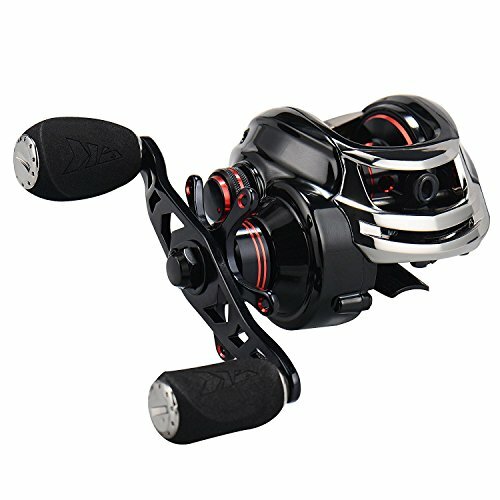 Unique feature: Talking about unique features, this best kastking reel got Dual braking system. It offers both 7 disks magnetic brake and 4 disks centrifugal brake system. Only two types of the braking system exist for smooth casting and this beast got both of em. Another thing I love about this reel is it got this Anti-backlash line guide feature which reduces the backlash greatly. Now that makes the reel the best baitcasting reel for beginners. Reputation: So excited to show you the reputation folks! This high-speed low profile reel took the competition right away the moment it launched. No wonder why it’s got a huge amount of customer reviews with a 4.3/ 5 ratings on Amazon. The best thing of all is, Kastking legend/white max is the titleholder of the #1 best seller in Amazon. Wow, right? Overall: The Kastking Legend/whitemax is undoubtedly the best baitcasting reels under 100$. If you are a beginner, this can be the perfect match for you as a primary reel. For overall fishing, the reel can be the secondary weapon in your fishing arsenal. 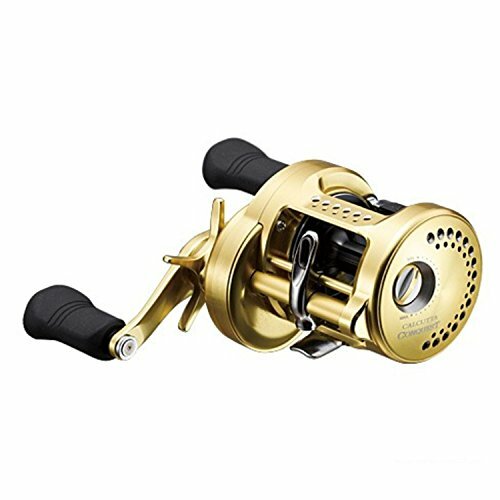 -Recommanded article : Best Bass Spinning Reel under 100 $. Intro: You must find the Abu Garcia Revo SX: one of the best baitcasting reel under 200$ in today’s “best baitcasting reels for the money’s” list. If you don’t want to spend that much money, here’s a much budget friendly reel for you. You can consider it the little brother of Abu Garcia Revo SX. Presenting you an ultra-lightweight, durable and high-performance baitcaster the Abu Garcia Revo X.
Built-quality: The construction of Revo X 4th gen is almost the same as the Revo SX 4th gen. Baitcaster. The built-quality is so durable, powerful yet lightweight. The reel weighs only 7.94 oz. With the amazing brake system, gear system and tough carbon construction, undoubtedly you can rely on this reel. Gear ratio and ball bearing: It has both medium and high-speed gear ratios. 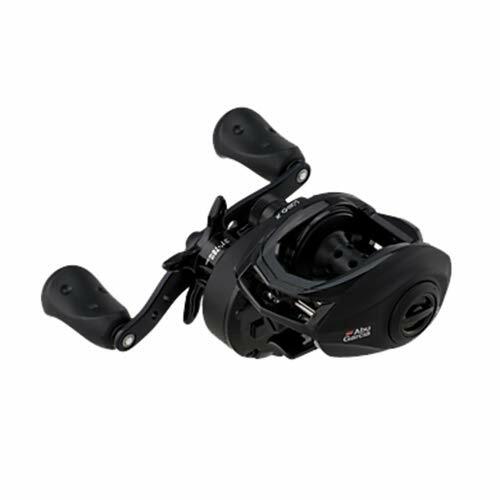 If you want a reel for multipurpose, our preference would be the Revo4 X with a 6.6:1 gear ratio. If you want much more retrieve speed, get the Revo4 X-HS(High Speed) with a 7.3:1 gear ratio. The retrieve rate is 30”/turn. So fast retrieve, isn’t it? What I liked about this reel is it’s got a Revo4 X- wide spool option. Simply, wide spool=more line capacity. In that case, the gear ratio is 5.4:1 with a retrieve rate of 22”/turn. With 8 ball bearings, Abu Garcia Revo4 X is a pretty smooth reel. The users are so much satisfied with the smoothness. Why not give it a try! Drag power: Do you wanna know what makes the reel different from other reels? They offer the Carbon matrix Hybrid drag System for insanely smooth reliable drag performance. Produces a maximum drag pressure of 18 lb. For bass, crappie, walleye or some pan fishing this could be the best baitcasting reels for the money. Line rating: There’s a reason behind putting it in the list. You will like this one, this reel is compatible with any kind of fishing line. Especially I found it works great with mono and braid line. Reel handle: Handles are not that comfortable because of plastic construction, not a problem though! Handle length is what makes it different from the upgraded Revo4 SX, the handle of this length is a bit smaller than the upgraded one. Handle length is 90 mm. Don’t worry with the handle sides, offers both left and right-hand handle for each reel. Unique feature: There are so many features that made this reel a unique on. The D2 gear design which provides a more efficient gear System while improving gear durability, Duragear brass gear for extended gear life and sleek design made it an extraordinary choice for the anglers. Another feature you would love that, it got a lubricating hole which gives you access to oil it without opening the reel. Great isn’t it? Reputation: With 4.1/ 5 ratings, it’s got a pretty good amount of positive reviews from a bunch of happy customers in Amazon. Abu Garcia knows well how to maintain the reputations. Means you can totally rely on this one and put in your fishing tackle bag. Built-quality: Kastking legend is one of the best looking reels of these days, it seems so muscular and sleek with the highest grade materials. With the graphite side plate and frame, it’s insanely robust and durable reel. Handles are made out of high strength aluminum handle. Reputation: So excited to show you the reputation folks! This high-speed low profile reel took the competition right away the moment it launched. No wonder why it’s got a huge amount of customer reviews with a 4.3/ 5 ratings on Amazon. The best thing of all is Kastking legend the titleholder of the #1 best seller in Amazon. Wow, right? Overall:The Kastking Legend is undoubtedly the best baitcasting reels under 100$. If you are a beginner, this can be the perfect match for you as a primary reel. For overall fishing, the reel can be the secondary weapon in your fishing arsenal. Intro: What if you get a high-tech baitcasting reel at a very affordable price? This one is definitely for you then! Piscifun is the famous brand responsible for producing so many finest fishing tackles over the year. Typically these reels are made in China. Introducing Piscifun, an advanced low profile baitcasting reel that operates super silently and smoothly. Sometimes I wonder how they manage to build this much awesome reels in such a cheap price! But folks, they do! Built-quality: With the reliable graphite composite body, the built-quality is extremely durable, robust and powerful. It has a strong resistance against corrosion, you can use this reel in saltwater. All the braking system, gear system are built so perfectly which is the main reason for its good longevity. Gear ratio and ball bearing: Consider it as a high-speed gear ratio, the gear ratio you will find in this reel are 7.1:1 with 30”/turn retrieve rate. Wanna know an amazing fact about Piscifun? They provide these Japanese Hami cut 3604 brass gears, an outstanding quality gears you expect from a baitcaster fishing reel. With 5+1 shielded ball bearings, Piscifun torrent offers a moderate amount of smoothness. Though it’s not a buttery-smooth reel with higher ball bearings, in this price range it gives good value. Drag power: With max. The drag of 18 lbs, you can even fight for a big fish like salmon/steelhead. The carbon fiber drag system along with 3 premium drag washer helps the reel giving a flawless performance. Reel handle: An extended 4-1/3inch handle with comfortable EVA knobs increases leverage and thus power. Fighting for a fish in the nastiest cover, Piscifun torrent handle will be your ultimate muscle. Unique feature: Losing a tiny part while oiling the reel is a common hazard faced by anglers. But not with this one buddy, Piscifun engineers solved the problem with a quick oil port design. Simply remove the screw and oil, easy isn’t it? Gives an extra facility for novice anglers in terms of maintenance. Reputation: Piscifun always gives the best value for the money, at least the 4.5/ 5 rating and huge positive reviews from customers proves that. Last but not least, the Piscifun Torrent won the title of “Amazon’s choice for baitcasting reels”. Don’t you call that a success? Overall: Piscifun is dominating in the cheap baitcasting reels territory, even some higher priced baitcasting reels are not as good as this one. Definitely worth a try, folks! Intro: We talked about the glorious history of Shimano earlier in this article. Now you know that Shimano is the brand you can put your trust on. Now we’re gonna review a reel which can be used for a lifetime with little maintenance. A reel that’s the benchmark of durability and toughness. Yup folks, Shimano Curado K low profile is a real piece of beauty! Built-quality: Nothing to worry about when it’s built by Shimano. The graphite and aluminum construction made this reel extremely durable, rigid and lightweight. All the models are between 7.6-7.8 oz, how this tiny reel feels in your hand! 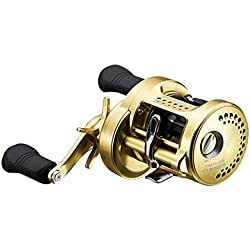 Don’t go with the heading in Amazon, they mentioned it as a freshwater reel but it is both freshwater and saltwater reel. One of my buddies is using this reel in saltwater for years now and it just works fine, just a firm wash after every trip is what it takes! Gear ratio and ball bearing: Shimano always provides several variations of Gear ratio in their every reel series. This one also got several gear ratios, you will get a gear ratio of 6.2:1 to 8.5:1 in a different model. Every single reel has 6+1 ball bearings, they feature A-RB ball bearings here. These stainless steel ball bearings are specially treated to drastically increase the corrosion resistance of the bearing. It’s 10 times better than a typical stainless steel ball bearing. Drag power: Drag power can be a little heartbreaking. It produces a maximum drag of 11 lb which is pretty good for small fishing like bass fishing. Unique feature: The Shimano Curado is full of unique features, the hagane body, micromodule gear, X-ship tech, SVS infinity, CI4 material, super stopper anti-reverse, and super free spool made this the best reel for freshwater. 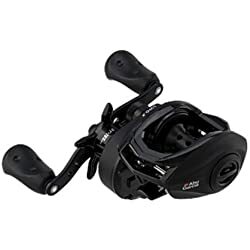 Reputation: Shimano curado achieved 4.5 /5 ratings in Amazon. Not only that, they are the proud title holder of “ best choice” for the Shimano baitcasting reels. Overall: If you are not a fan of Shimano, try this one! I bet you will be one! Intro: Once a Japanese visionary said, “I aim to make Shimano’s products best in Kensai, then the best in Japan and then the best in the world”. The dream turned out to be a truth. Shimano Is literally ruling in the fishing tackle industry with their finest fishing gears. Presenting you Shimano casitas, a low profile reel built for versatile performance. Built-quality: The design of this reel is so muscular, made with graphite and aluminum. Several advanced technologies applied in this reel, so much Shimano isn’t it? Gear ratio and ball bearing: Shimano casitas offer 2 different gear ratios, the Cas 150 has a gear ratio of 6.3:1 and the Cas HG (high gear) offers a 7:1 gear ratio. Though it has 5+1 shielded ball bearings it outperforms many expensive reels with higher ball bearings. Drag power: You will get a moderate amount of drag from the reel, the drag power is 12 lbs. Can be a little frustrating but the drag system works great. We found it pretty smooth. Reel handle: Beware of the reel handle side. Before selecting one, choose your preferred side. There are both right and left hand retrieve available. Unique feature: The braking system used in this reel is awesome, they triggered the SVS Infinity braking system for flawless braking. Totally worth for the money. Reputation: Shimano curado got 4.8 / 5 Amazon ratings with 100% positive reviews. That’s what I call a success! You can totally rely on this one. Overall: It’s a great reel for light application. You can use this as a both freshwater and saltwater reel, it’s ready to take extreme abuse. This mid-end budget reel can provide you a long time service with a little care. Try it! Intro: Looking for a cheap price reel? A reel for the newbie who wants to practice with a baitcaster? Or a baitcaster for some casual fishing? Try Abu Garcia BMAX3, an amazing reel is an insanely cheap price. You can’t expect lifelong longevity from this one, but for the money, it’s a great reel. Built-quality: With the 1-piece graphite frame and graphite side plates, Abu Garcia BMAX3 is a quite sleek looking reel. It’s a reel under 50 bucks, you can’t expect that much durability with it. But in most cases, it works fine for a long time. Gear ratio and ball bearing: It has a gear ratio of 6.4:1, kind of medium speed ratio perfect for multipurpose. Gear system works totally fine. Has a star drag in its side. Smoothness is pretty good with the 4+1 stainless steel ball bearings. Provides a reliable operation and effortless retrieve. Drag power: The max drag is awesome in this reel, it provides a max drag of 18 lbs. Even can fish for salmon/steelhead or a northern pike. Amazing isn’t it? Maybe it’s the highest drag power offered by a cheap reel. Line rating: Line rating is quite amazing, casts 145 yds of 12# test line. You can also use braid line with this reel, works fine. Reel handle: The handle is not that comfortable, Compact bent handle and recessed reel provide an ergonomic grip though. Choosing the handle side can be a bit tricky. The model with L in it means leaving the sided handle. Unique feature: To be honest, it’s not much of unique reel folks. It offers a magnetic brake system and power disk system. What would you ask more from a cheap baitcaster! Reputation: With the title “Amazon’s choice” it earns a 4.5 / ratings. It’s a great reel for the beginners, you won’t find any better match than this one under 50 bucks. Surely worth a try! Brake system is utmost important in a baitcaster or baitcasting reel. A good braking system will help you preventing horrible bird nests or backlashes. You will find the first braking system as a knob which helps to control the spool speed. There are also two types of braking system founds in a baitcaster. The best braking system in a baitcaster is your thumb actually. Practice again and again manually with your thumb will ensure a backlash free cast. If you choose a good speed ratio, it actually lower the torque in your reel and gives better performance. Typically standard gears are made out from brass. Metal gears are more expensive but durable and give the best performance. For overall fishing or multi-purpose, choose the 6:1 gear ratio. For better speed and retrieval rate, choose higher gear ratios such as 7:1 or 8:1. Note: with a higher gear ratio, it takes much experience to control the speed. Who doesn’t love a smooth reel! Bearings reduce friction between moving gears in the reel and improve the life of the product. Bearings are graded from 1 (lowest) to 9 (highest) in terms of performance. For smooth performance, pick a reel with higher ball bearings. Note: some cheap fishing reel often offers higher ball bearings, not reliable at all! ex- A premium 5 bearings is better than 12 cheap ball bearings. The frame is an important part of baitcasting reel in terms of overall durability. It holds the whole system actually. The aluminum frames are the best, it’s the most expensive but will give the best performance. You will find graphite frames in a cheap-end or mid-end reel, they are weaker than aluminum. Q. What does low profile means in a baitcasting reel? Ans. low profile baitcaster simply means little and lightweight reels. Baitcaster reels are great for casting with comfort, no chance of arm fatigue. You can fish for a long time when you have a low profile baitcaster in your hand. This type of reel is highly recommended for jig fishing, bottom bouncing techniques, flipping, and pitching. Q. which braking system is better? Magnetic brake- This is the cheapest and easiest braking system to learn on, but is the least efficient in dealing with adjustments. Centrifugal brake- it’s more like a manual braking system. Can be found in high-end baitcasting reels. It allows you to set the brake against wind manually. Q. which gear ratio is best for multi-purpose/ various fishing practice? Ans. A Gear ratio of 6.6:1 is more like a moderate gear ratio for multiple purposes. The reel with this gear ratio is considered as a moderate speed reel. You can also try the 7:1 speed for more retrieving speed. But remember it takes more experience to control this much speed. For a novice angler the 6:1 or under it best to cast. Q. which material frame is good for a baitcasting reel? Ans. you may notice that some baitcasters are made out of graphite or alloy frame and some are made out of aluminum. Aluminum frames are usually expensive and give the best performance and durability whereas the graphites are most common and they are weaker than aluminum. Remember, The frame acts as the reel’s foundation, so you should ensure that it is one piece. Baitcasting reels are a great choice, it’s better in many cases than a spincast or spinning reel. A baitcaster reel facilitate you with heavier lines, less line twist, longer casts, more power, and control! Though it’s not a reel for the beginners, but at some point, every angler needs a baitcasting reel to enhance their fishing experience. Here in this article we gave a complete review 10 best baitcasting reels for the money, after long market research and mixing the personal experience we came to this list as a verdict. We can now confidently say that these reels are going to make your fishing experience awesome. Try the one you prefer folks, happy baitcasting!